OK, I’m sure half of you are laughing at the very title of this article – camping?! With an infant, crawler or toddler? The little humans that are nothing if not predictably unpredictable? Noooothankyou. Wait, wait…come back. We’ll break this down and I’ll see if I can convince you. Because maybe there’s some little part of your pre-baby self that does want to sleep beneath the towering evergreens, the scent of fir and campfire enveloping your soul. We took both kids camping at an early age – my daughter at 8 months on Mt. Rainier and my son starting at 12 months, on the Hood Canal. I’ve compiled a list of recommendations and tips from myself and Jennifer Aist, blogger at Wilderness for Kids and author of the excellent Babes in the Woods: Hiking, Camping & Boating with Babies and Young Children . 1. Try the tent. Camp in the glory of your own backyard, just to give your family a trial run. Some children have easy-to-transition personalities that won’t screech at a new sleeping spot. Others – well – let’s hear a story from Kelowna, BC-based mom Bobbie-Sue Menard, whose first four kids slept well in tents between 12-24 months. Then her fifth child put the established pattern to the test. 2. Pick the perfect campground. “If you are unsure about this whole camping thing, choose a campground that has resources nearby like a grocery store, restaurant or maybe even a hotel,” says Aist. I recommend staying no more than an hour from home, only so you can beat a hasty retreat if necessary (see point #1 above). Aist points out that busy campgrounds can be stressful; smaller campgrounds offer a calmer environment for young children. 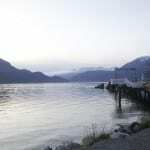 I prefer campgrounds stocked with additional attractions, such as a lake, beachfront or easy hiking trails. My other must-haves include running water — it makes for easier clean-up of easy-mess infants — and modern flush toilets. Pit toilets can be intimidating (and mega stinky) for adults, much less a potty-training toddler. 3. Select your site carefully. Avoid sites near rivers or lakes (to prevent wandering catastrophes), entrance/exit points for the campground (too much car traffic), or even a site without much privacy. “Pick a site that backs up to the woods rather than another campsite so you won’t fret over keeping your neighbors up all night with a fussing baby,” Aist says. If you’re with a potty-training kid, sites near the bathroom and running water are solid options; bringing along a portable potty isn’t such a bad idea either (we brought a Babybjorn Potty Chair). 4. Pack right. “Toddlers are very sensitive to their routines,” Aist says. “Keep the routines going even when you are camping,” and incorporate expected customs around sleep, comfort, food and play. Pack favorite snacks (Cheerios, Goldfish crackers), beloved stuffed animals, books they can practically recite from memory, Tylenol for teething infants and a camping lamp that can run all night (if your child loves his bedroom nightlight). One note — if you do use cloth diapers, you might think about switching to disposable or Gdiapers for the duration of your camping trip. Or figure out a good solution for dealing with dirty dipes (stay-dry stuff sacks are a good option). To keep baby out of the fire or food prep area, use a pack ‘n’ play-type playpen from home, which can double as a nap and nighttime solution. “Daytime naps are critical to good night sleep,” Aist says, so don’t skimp on this part. With a baby monitor, you can listen in on your tent-napping babe, while you relax with a book by the fire. 5. Sleep tight. “For small tents, the pea pods (example: KidCo PeaPod Portable Self Inflating Travel Bed – Lime ) are popular,” Aist says. She also recommends bag doubles like the Functional DesignSleeping Bag Expander for co-sleepers — the expanders make one parent’s sleeping bag wider, so baby can snuggle in with you. Another option (our family’s choice) was to cosleep on a queen-size air mattress, bringing sheets, pillows and a lightweight-but-superwarm blanket along with us (I love our wool Pendleton Blanket — 10 years old and often all we need on a camping trip). We dressed ourselves warmly and outfitted our daughter in a fleece bunting, (like this Columbia Snowtop II Bunting ) so she stayed warm all night — even after kicking off the covers. The bunting also served as a warm romper during a chilly alpine morning. Before bedtime, remember what we mentioned about routines. “Look at your home bedtime routine and see how you can modify it in the field,” Aist says. “For example, if you read a book before bed at home, do it in the tent too. If you use a white noise machine at home, download a white noise app for your iPod and play it in the tent.” Don’t skimp on the pre-bedtime snack or feeding, and don’t keep your baby up late hoping they’ll be so pooped they’ll pass out. “Put them down for bed before they are overtired,” Aist suggests. 6. Reframe “camping.” The pace is slower, and there won’t be as much sitting around, reading magazines and books or chilling out by the fire — except during naptime. You may have to plan activities for your toddler or spend more time entertaining them, as on an airplane — but without someone glaring from the seat in front. Order a book on local flora and fauna (we use National Audubon Society Field Guide to the Pacific Northwest ), as toddlers enjoy identifying and naming objects — why not the stinging nettle (ouch) or huckleberry? A few more fun toddler-ready ideas: Heading out on a trail ramble, looking for crabs (under rocks) at the beach, using a magnifying glass to get up-close to bugs, throwing rocks into the lake and collecting seashells. Playing with some of the food-prep equipment is always a great option – a toddler, a small fry pan, a tin cup and a spoon can last longer than you’d think. You could even bring a few toy trucks from home for hauling pebbles. 7. Worst case scenario. We know what this looks like. Your infant or toddler hates camping. She hates being cold, she hates the weird noises and she really, really hates that icky campfire smell. You have a few options – pack it up and go home (we know people who’ve done this), sit in the car with your baby until she calms down or….pack it up and go home. But don’t give up on the idea yet. There’s always next year, when the kids are a little older and more flexible. “The benefits of getting kids outside far outweigh a bad night’s sleep,” Aist says. Readers, do you have any tips for camping with babies or toddlers? Any favorite toys, campsites, must-bring items from home? I’ve been camping with both of my kiddos since they were just weeks old. One piece of advice about the tent in the backyard thing… don’t make it a play structure. 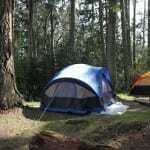 Make sure you are introducing your tent for what it is intended for — sleeping/rest. If your young one learns to associate the tent with play time… you will regret come evening when you are attempting to wind things down for bed. Great point, Liberty. I love your blog post about Penrose Point — it’s one of our family’s favorite spots as well. I love this article! 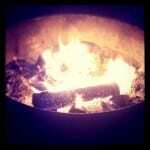 Next year, next year… cuz I dare you to write an article that makes camping while 8 months pregnant sound fun. On the other hand, don’t. Really. I went backpacking in the North Cascades while pregnant. It’s not something I’d do again. Lora – great suggestions. We, too, have packed up and gone home! Sometimes, it’s the only option. I think the biggest shock to me car camping with a kid was that the very sites I loved so much before (eg five feet from a rushing creek with bathrooms as far away as possible) are exactly the ones to avoid when camping with a toddler. Online campground reservations make easy work of picking the best campsites when they offer maps of the different loops. We made good use of this when selecting a family-friendly site at Ohanapecosh at Rainier recently, where probably half the sites are on the river or a stream. Oh, and I second the air mattress! So worth the money. Awesome point, Lauren. Yes, I also love the visual campground reservation systems that let you “see” and compare the sites. One more thing. I remember Joan Burton advising me to give my toddler something to do to “help” while we set up camp. We had Isaac gather little twigs for firewood kindling. We gave him a bowl to put them in, and he got really into it, then he felt somewhat vested in the experience. OK, one more. Go with another family. We haven’t done this yet, but I want to. When I see two or three families camping alongside each other, cooking together and playing together, both the kids and the parents seems to be having a better time. And with babies and young toddlers, there’s no better relief for frustrating situations like tantrums than camaraderie! Camping keeps coming up more and more in our lives. If we don’t do it before the end of this season, then I have a feeling we will be out there next summer for sure. You all have given me a glimmer of hope that it is possible, and not just a fantasy my husband is clinging to. Thank you! We loved our REI kids hiking backpack – she loved it too. So worth the money. Dinner prep was interesting, as my husband and I both like to cook in camp. We learned to simplify by using bagged salads, making casserole meals at home, putting them in quart ziplocs and freezing them, then putting them straight into the cooler and then the skillet to make meal prep simpler at the same time hot. However, camping near a town was good – a nice hot brunch can beat the blues of a long Friday and Saturday, for everyone, baby included! Coffee for awhile was bottled coffee…caffeine in the morning was a must. Pack more food than you think you need for comfort and energy. We bought an expensive kid hiking/distance monitor to put on her and on us and it drove us crazy each time she was more than 10 feet away from us it buzzed. By the time my son arrived, we bought jingle bell bracelets at a good toy store and they wore those in camp, so we never lost them around dusk. We also put a circle of stakes and taut string around our campfire, when they got to be toddlers and we occasionally lit a fire. One parent was on fire watch/duty all the time, but if a kid got to close to the fire, they would trip on the string outside the fire pit and fall in the dirt (not the fire). I’m amazed no outdoor store has invented a kid fire gate/protector for camp fires. Kids love the glow in the dark snap bracelets at night in the tent and a small battery operated lantern of their own to keep on while they fall asleep. Bring lots of their favorite books and teddy. They wash and are worth the comfort. 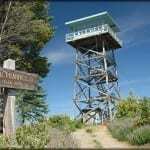 Living in Oregon, we do book yurts about once a summer, as well as camp in hiking. 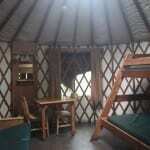 I WISH North Carolina had yurts to rent when we had babies. Camping light. Camping bliss for the new parent. Camp grounds with paved trails are nice for kids learning to walk. And yes, there were a few nights when my daughter was a toddler that she was put to bed in her car seat and cried herself to sleep, after being told to “go to bed” in the tent and not doing so. She didn’t cry for long and then we all got some sleep, but she was a toddler, not a baby at that time. 2. Love the idea that you reframe camping. Not trying to replicate camping pre-kids is smart. I used to think car-camping was not for me, but now I love car-camping and it works for my family. 3. We usually camp by ourselves, but we went camping with several other families for the first time several weeks ago, and it was a blast. The kids mostly entertained each other, there were shared meals, and shared child-minding duties. 4. I learned from a friend to use the “tote” method for camping. Keep your camping things (stove, dishes, soap, tent, etc.) in tough rubbermaid totes, so all you have to do is pack clothes and food when you want to go. I even have the same meal plan when we camp so I can easily get groceries gathered. Camping is a lot of prep work, so use lists to make it easier. 5. Don’t worry about keeping your kids or yourself (or most of your things) really clean. If you are concerned about your kids getting dirty from mud or soot, you probably won’t have a good time. You nailed it! My wife and I have always been avid campers, and we started taking our kids camping as soon as they were out of diapers. Now that the boys are grown, family gatherings always bring out stories of our family camping adventures. It seems that the times that were the most uncomfortable sometimes produced the fondest memories.